Yes that’s right – Madden NFL 25. 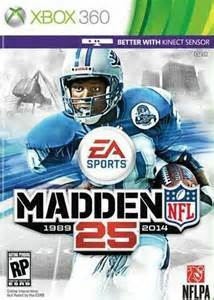 To commemorate the 25th anniversary of the Madden NFL franchise, this will be the 25th game in the series, hence the name –Madden NFL 25. One questions the title of the name—What will happen in the year 2024? What will the title of the game be since Madden 25 is already used? In the new game, a major focus is given to running the football. A ton of new moves have been added, in the past there were only 8 moves for the running back, now there is 35 plus moves and combinations. Wowza! There have also been improvements made on the other side of the ball-defensive control. Additions such as heat seeker tackling, improved pursuit angles, new dive and lunge tackles, force impact, and revamped hit stick. It’s great seeing guys like Ginn punt returning. Big special teams play from guys like A.J. Klein. 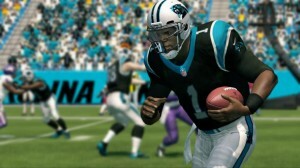 And rumor has it that Cam is a lot faster on this year’s game. If you’re like me, prior to the upcoming games, I like to turn on Madden and take on the opposing team; head-to-head. I of course choose the Panthers and crush the weekend rivals. If I don’t play the computer, I challenge friends. 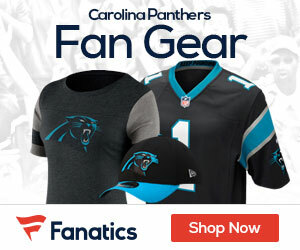 Some are die-hard Panthers fans as well so we both pick the Panthers. It’s also nice to take the skill and play against players worldwide on-line. You never know whom you might be up against it might be the 10 year old down the street or a professional quarterback like Cam Newton. You know Cam likes to compete, even on videogames. 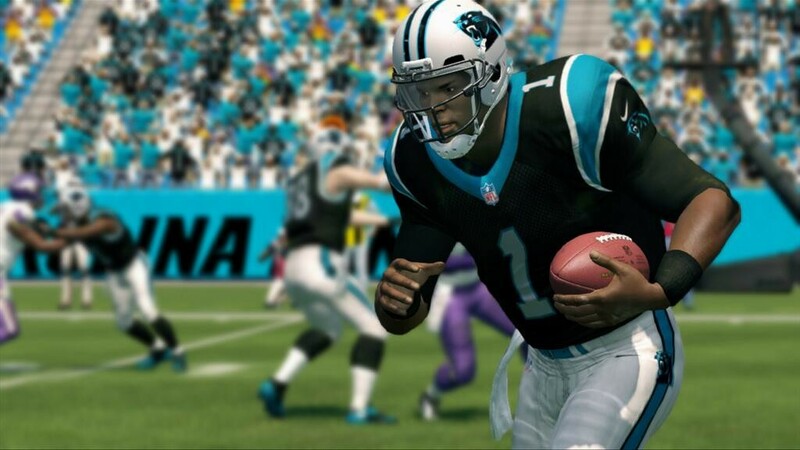 Madden NFL 25 screenshot of Cam Newton, posted by Madden NFL Creative Director, Michael Young on Twitter.